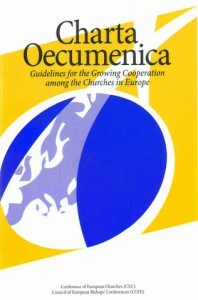 The Charta Œcumenica is a joint document of CEC and the Council of European Bishops’ Conferences (CCEE). It was signed by the presidents of the two organisations in 2001 and seeks to preserve and develop fellowship among churches. The Charta is available in English, Czech, French, German, and Russian. The Local Impact of the Charta Œcumenica – The current stage of the evaluation process is a document prepared for the 2018 Novi Sad Assembly. It resulted from a process initiated by CEC in 2017 to evaluate the reception of the guidelines for the growing cooperation among churches in Europe. 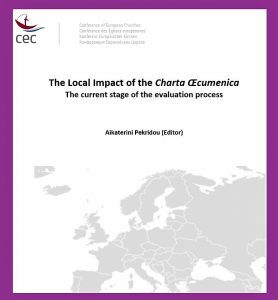 To evaluate the impact of Charta Œcumenica on the life of the churches, addressing especially Member Churches, National Councils of Churches and Organisations in Partnership, CEC conducted this study. The document provides a summary of the responses to Charta Œcumenica received by CEC (part I), and features a list of resources that demonstrate how the document was received in different parts of Europe, featuring a list of important publications on the document (part II). CEC is happy to receive feedback on the reception of the ecumenical guidelines from across Europe. For more information contact CEC Executive Secretary Katerina Pekridou.